Although you may know me in another context, or we may not have been in touch for a while, I am connecting with you to share a little of my background and to catch up with you on the exciting new things that are happening for me. 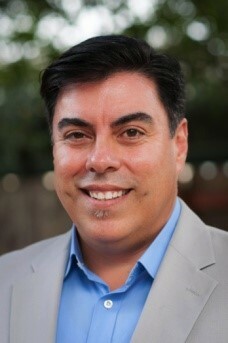 I also want you to know that I am here as a resource for you to contact if you ever have a question about real estate. I love what I do and it isn’t just a job to me, but a way of life that I am very passionate about. Being an agent allows me to help my family, friends, and their friends reach their dreams. Growing up in a military family and joining myself, all of the moving around and meeting people from various places around the world contributed greatly to the person that I am today. I guess you can say that I lived in the global environment before that was even a catchy term. Since I constantly had to make new friends, I developed the ability to spark up a conversation with pretty much anybody. To this day, I enjoy talking to whoever I come in contact with, whether it’s a real estate client, or someone in line at the grocery store. The fact that I truly enjoy other people, and have a genuine interest in their lives helps my clients to feel secure when interacting with me. My father retired from the military in Sacramento, and although I moved away, I came back and I have been here ever since. I was introduced to real estate by a friend, who suggested that I get into the financial side. After considering all the options, I realized that becoming an agent would be a better fit for me. I love being out and about showing houses, and most of all, interacting with people not only on a business level, but on a personal level as well. People are my passion, and I find nothing more rewarding than being an advocate for people and helping them achieve their dreams. I obtained my license in 2005, just before the economy took its turn. For a moment, I wondered what I had gotten myself into, but decided to make the best of it. I started a new company, and helped people clean up the mess that the economy had caused in their lives. I worked hand-in-hand with bankruptcy attorneys, credit negotiators, and whoever else I needed to in order to help people make sense of their situation, and to get them to a sustainable place in their financial life. It was such a confusing time for everybody, and the innovation and creativity that it took for me to find ways to still help people really solidified the fact that this is what I want to do. It also assured me of my ability to do so, regardless of the circumstances. As the economy stabilized a bit, I was able to go back to more traditional real estate transactions continuing my career as a Realtor® at Neighborly Realty. Recently, my Broker asked me if I wanted to take over the residential side completely, as he was ready to focus solely on his endeavors in other areas. I graciously accepted the proposition, and have excitedly taken the reigns. 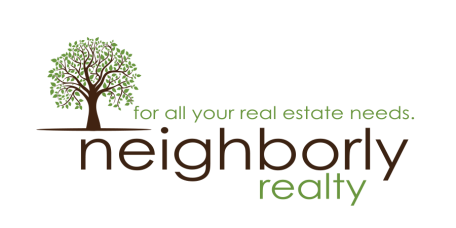 With that, I made the decision to join Neighborly Realty with an exciting and innovative new agency. With the support of Fusion Real Estate Network, I have the time and resources to focus on how I believe my clients should be treated. Neighborly Realty hasn't gone anywhere. I have goals and a vision to grow Neighborly as an agency that exceeds all expectations, but know that my clients will always come first. Even outside of real estate, I am the kind of person that is always thinking of other people first. I have learned so much from being a good friend to people, and helping out wherever I can. That is just the way I have always operated—helping people comes naturally to me. With that being said, it is probably no surprise that first-time homebuyers are the most rewarding transactions to me. I get goose bumps every time I hand over the keys to a first time homeowner, even after 9 years as a real estate agent. It is a wonderful feeling to be a part of such an exciting time in a person or family’s life, and I feel so honored to be able to share in their moment of happiness. I also realize that in order to create the smoothest transactions possible, technology has become instrumental in today’s business world. I have fully embraced the advances, and happily classify myself as a computer geek. If there is a gadget out there that will help to streamline processes, I probably have it. 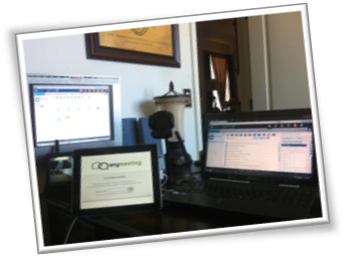 I am fascinated with technology, and have implemented it into my business wherever possible. Being up to date with these advances is not only fun for me, but helps me provide a maximum level of efficiency for my clients. Despite with my fascination with technology, I also love the outdoors. 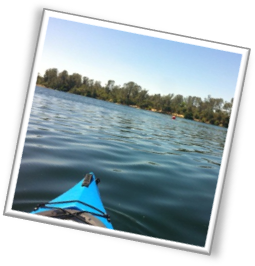 My spare time can always be happily spent mountain biking, or kayaking. I also believe that it is important to stay involved with my community, and take up as many opportunities as I can to help out. 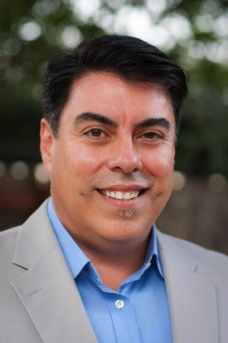 I have served in Sacramento on boards, selection committees, and advisory committees. I have always advocated for people living on the fringes of society and support organizations such as Habitat for Humanity. If you work with me, it’s important that you know me as a person. My job as a real estate agent is that of a trusted advisor. The purchase or sale of a home is one of the most important decisions anyone can make, and my goal is to make the transaction as much of a positive experience as possible. My drive and determination have proven successful not only for myself, but for my clients as well. This is about you knowing that I will be there every step of the way, and always be working to find the best solutions for YOU. I want you to pick a real estate agent that’s the right fit for you and I would never be upset if you chose someone else. Even if that’s not me, it won’t risk our friendship. When you or someone you know is in need of a real estate agent, I only ask that you give me the opportunity to demonstrate my services and interview for the job. Thank you for taking the time to learn more about me. I greatly appreciate it and hope that I can earn your business should you ever need an agent.